After studying at the Art Center School, Los Angeles, he started working as a technical illustrator for Boeing, as well as designing film posters and animating CBS News’s coverage of the Apollo space program at the three-man company Reel Three. 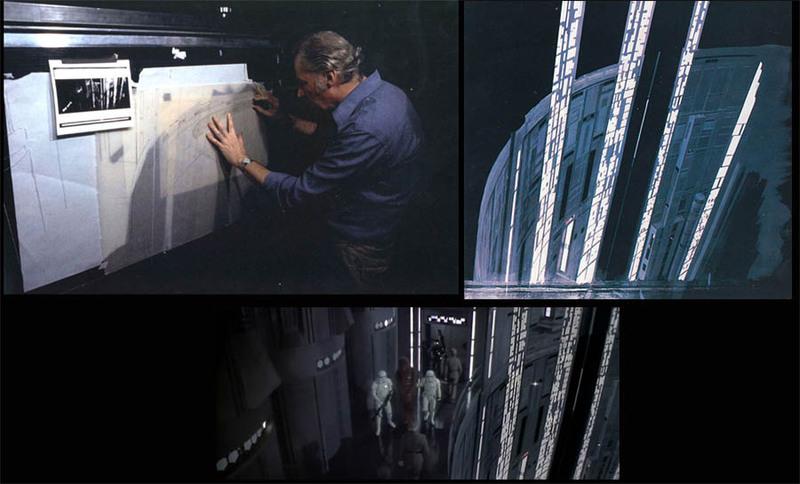 While there, McQuarrie was asked by Hal Barwood to produce some illustrations for a film project he and Matthew Robbins were starting.George Lucas commissioned McQuarrie to illustrate several scenes from the script of the film, Star Wars. 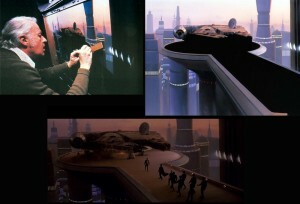 He also worked as matte artists on that film and the next “The Empire strikes back”. As conceptual designer he contributed for many science fiction films. 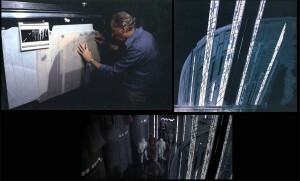 McQuarrie working on a painting fro Star Wars. Posted on 16 January, 2014 by Domingo Lizcano. Permanent link.